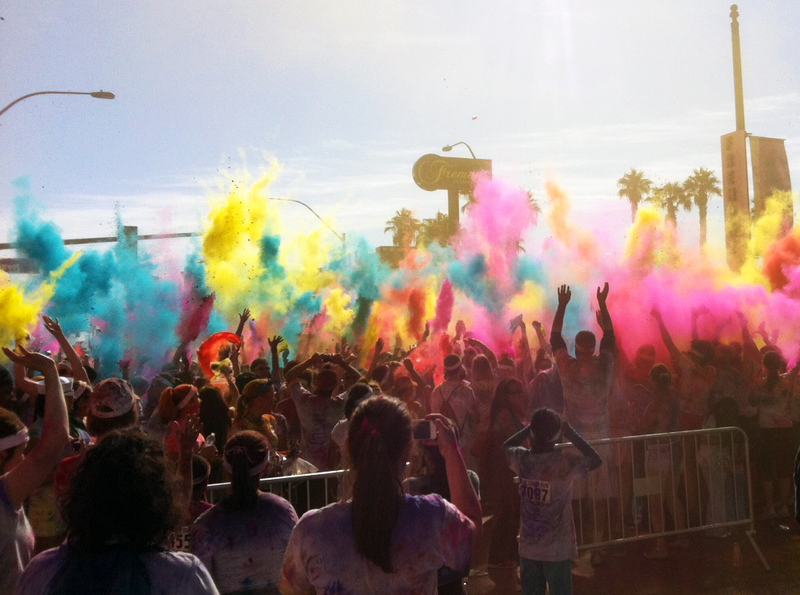 The post-run paint powder party at the Las Vegas Color Run. 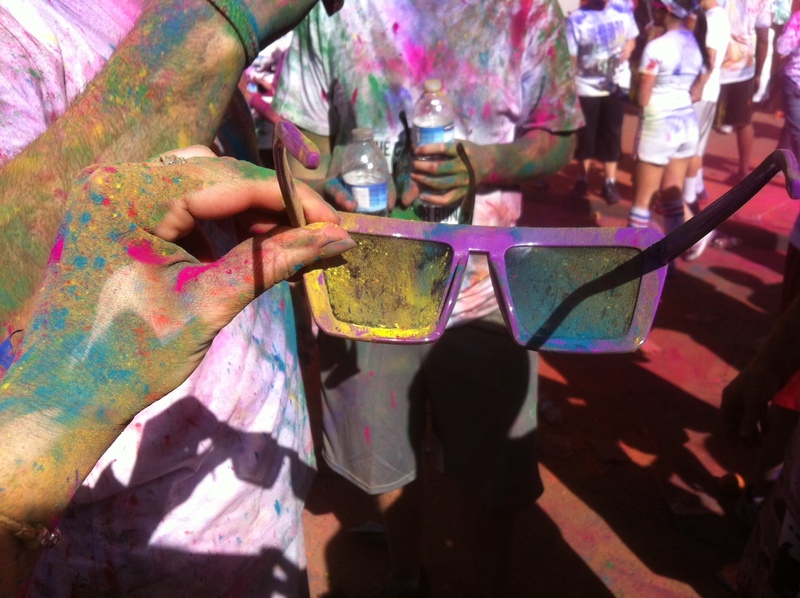 I knew I was going to like the Color Run from the first moment I clicked on its website. Here was a race focused on fun over speed. A race in which you come dressed normally and leave in costume. 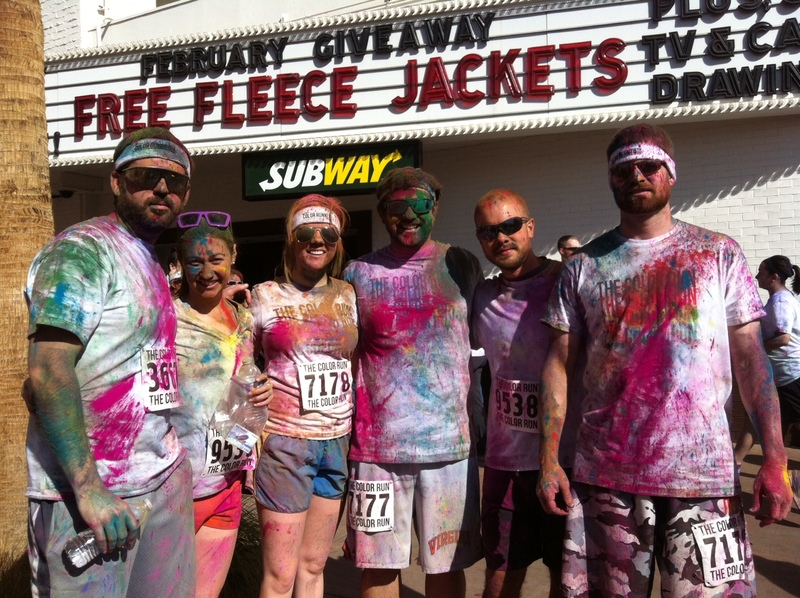 A race in which every kilometer brings a veritable paint bath and the finish line party is a giant rainbow hurricane set to a party rock beat. If clubs involved paint fights, I would go clubbing way more often. But enough of me. I’ll let these amateurish iPhone photos do the talking. Just imagine how cool this would look with a real camera. 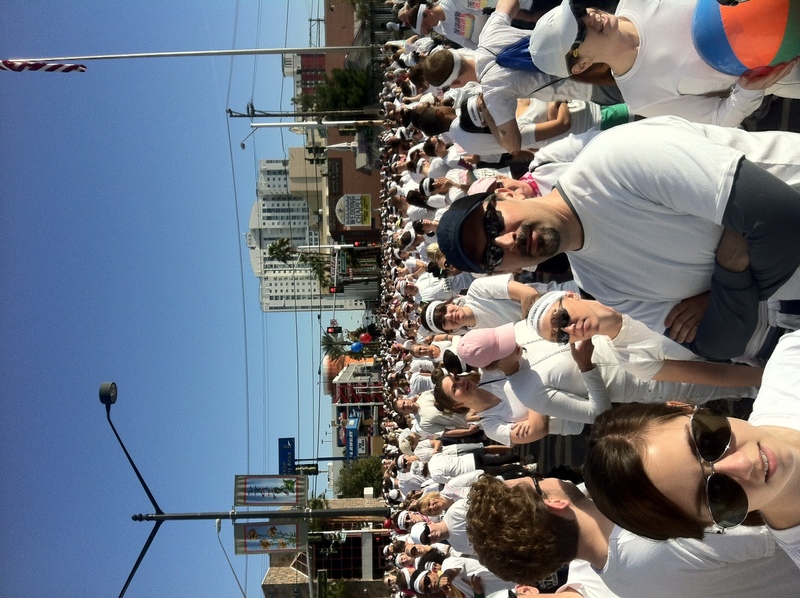 Pre-Color Run. No, this is not a cult. 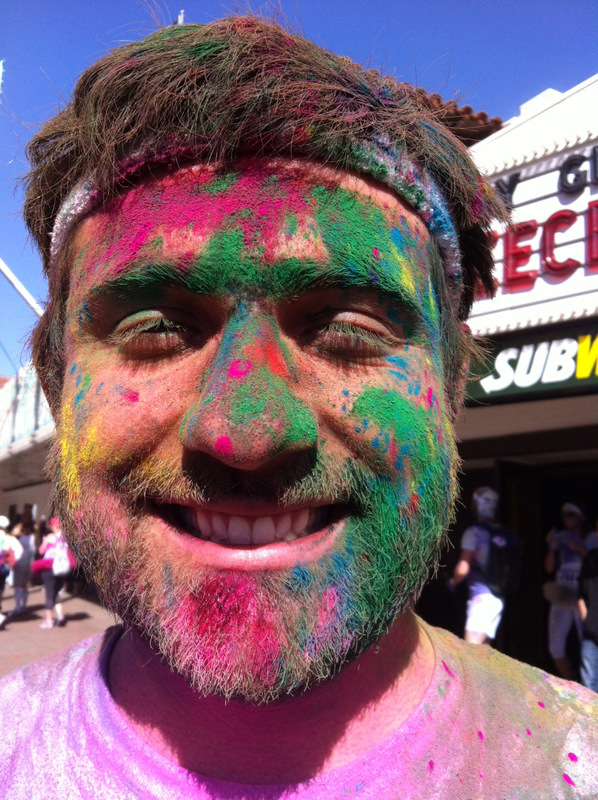 Chris Bitonti shows off his new look after a good paint-bombing.